Your potential clients, customers and patients search the internet looking for solutions. They have a need, a question, or a problem and if your business can meet their need, solve their problem, or answer their question you NEED to be found. 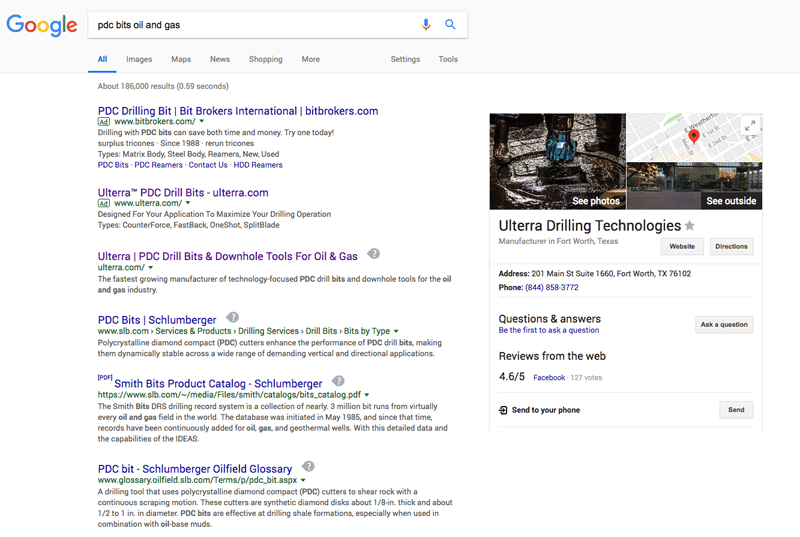 Having your listing buried on page 4 of Google or another search engine doesn’t make it likely the searcher will connect with your business. We can solve this for you! How does Search Engine Optimization / SEO work? Search engines like Google, Bing, Yahoo, and others all have to have some way to order the results they present when someone searches a term. This term is called a keyword. The algorithms that determine this order are quite complex. The search engine’s end goal is to measure how potentially popular and relevant your site would be to someone searching for a certain keyword. When you create a website, like it or not, you are entering an online popularity contest. In fact, you are in a popularity contest for every individual keyword a user might use that matches your solution. To measure this popularity, the search engines use signals. How many links from other sites does each page on your site have? If lots of other websites are using your site as a reference point by linking to it, the search engines take note. The technical term for this is backlinks. When people search a term and then go to your site through the search, what do they do? Do they stay on your site for a long time or leave quickly? Do they click through to other pages on your site? (CTR or click through rate + dwell time). Rather than just hoping all this happens to occur, search engine optimization is a service in which we make sure these signals are maximized. These strong signals garner you higher rankings, which means MORE potential customers, clients and patients discover you are the solution for their need. How Your Site Gets SEO Results! Your site contains pages and keywords which Google and other search engines are trying to make sense of, asking: How do we make order these terms and pages and what weight do we give each? Rather than let Google guess, we can indicate to Google what your site is about by creating clear silos of content inside your site. A silo consists of strong keyword landing page with supporting content underneath it in the form of supporting articles. Keep reading. Silos will make sense as we unpack the process. We start with the crucial task of keyword research. We look for keywords related to your offerings that have a high monthly volume of search and compare that result with the number of other sites competing for that exact term. If you own an insurance agency and need to rank for auto insurance, that term is extremely competitive. There are 19,300,000 pages seeking to rank on auto insurance. Major international companies have been spending a fortune to rank on that keyword. It's not that you can't achieve that ranking over time, we just have to be realistic about the efforts it will take. In the case of a highly competitive keyword, we can lengthen the keyword to Fort Worth auto insurance or something more specific like replacement cost auto insurance. If you own a gluten-free bakery, we will create a silo for each of the following keywords because they get a large volume of search. Again, if the results competition warranted, we could add the term Dallas to make ranking more feasible. build your silos in a new site. add them to your existing site. The top of each silo begins with a great landing page. This is typically centered around a service or product. The page usually will have 1,000 words on it, because this long-form content ranks better than short pages. In our bakery example, we'd build a gluten-free cupcakes page that could include product information, health benefits, and testimonials about their delicious taste. We then build a blog/article category that sits in the site structure navigation under the landing page (category = gluten-free cupcakes which exactly matches the head-of-silo landing page). This category area of your site is a place where new articles, flavors, additional health benefits, and any other content specifically related to gluten-free cupcakes can be added over time. All this content reinforces the top of the silo's landing page. It makes the silo much deeper. Google sees this and says, "This site has a great deal of valuable content about gluten-free cupcakes. We should rank them for this term." This is where our SEO expertise shines. There are things that we can do, both on your site (called on-page SEO) and outside of your site (called off-page SEO), to make your silo shine and thus have your keyword increase in its ranking. Schema Code - We can put code in each silo that the visitor doesn't see but that tells Google more details about the page. Interlinking -We create links from sub-pages and blog posts to the main landing page you are trying to rank. This sends all your SEO juice for a keyword that occurs across your site to a single page. Powerful! Fresh Content - Your site shouldn't be static. By adding fresh content, your topical depth grows and the search engines love this. We can help create a content schedule that works and optimize your articles or ghostwrite them for you. Plug-ins - We use a special, limited-access plug-in that makes sure the search engines are seeing things in the exact hierarchy and manner we want them to. We are SEO Ultimate + certified. There is no better plug-in on the market for this. Syndication Network - We can help you publish articles on your site that can be automatically sent out to 20+ other highly-trusted sites. This triggering gives each piece of content you publish 20 strong backlinks, which the search engines use as a major ranking factor. Over time, each silo on your site will gain hundreds or even thousands of strong backlinks. Google Stacks - Google loves Google, and we can use the search engine's narcissism to build a massive sister site and point all that "SEO juice" right to the top of each silo on your main site. Map Pack Pop - If your business is a local business, it's important it pop in Google's map-pack. The map pack is that section on page one of Google. It's highly visual and often clicked. We know how to get you ranked there. Plus, press release stacks, healthy backlink creation, citations across the web and tons of other goodies we can explain to you in a free consultation. 4. Measure and Report Both the Activity, Ranking Results, and Increased Site Traffic. SEO agencies are famous for being secretive. This lack of transparency can often leave their clients wondering, "What activities are being done on my site to help it rank?" The unknown can lead to client frustration. In fact, this is the reason Moon & Owl added SEO services. We used to refer our clients to SEO agencies. Time and time again, we'd have to then sit with our clients as they fired these agencies because they weren't sure what was happening behind the scenes. We continually heard from our clients, "We trust Moon and Owl. Why don't YOU offer SEO?" And so we began offering full-service SEO services. But we do so in a different way–with full transparency! With Moon & Owl's SEO campaigns, you'll never wonder what is happening. We'll send a report twice a month that details the exact activities that we completed along with a ranking tracker report. But we know that ranking isn't all that matters to you. As a business owner, you need to see revenue from your SEO efforts. So we also include a Google Analytics site traffic report so you can see the campaign is drawing people to your site that convert into customers. SEO can appear to be complicated. Moon & Owl makes it simple and transparent for you to understand, so you can be confident you are getting a return on your investment. If you have any questions, we’ll answer them in a straightforward manner.